For parents, back-to-school means back to the drawing board. To plan winter break. With the economy boosted, families are using school vacations as an opportunity to criss cross the globe. And, they are booking travel earlier and earlier. If you want to use airline miles and score reasonably priced hotel rooms at premier warm weather Christmas destinations-Hawaii, Caribbean, Mexico, British Virgin Islands-booking months in advance is essential. But, what if you are a working mom-like me-and suddenly realize that winter vacation is around the corner, blackout dates apply to airline points (which were filled months ago) and the majority of warm weather destinations are filled to the gills? The strategy is simple. Pick a place that few want to visit and have an adventure. If everyone is headed to Tulum, book Helsinki. Instead of Antigua, go to Antartica. If Maui is mobbed, why not Memphis? In fact, the American South-coastal Georgia and Florida, South Carolina lowcountry, Louisiana, Nashville- is loaded with incredible warm weather options that are neither crowded or expensive. Me? While I was stressing out over insane fares to Cabo, my husband looked at me and boldly suggested Finland. I am looking into it now. 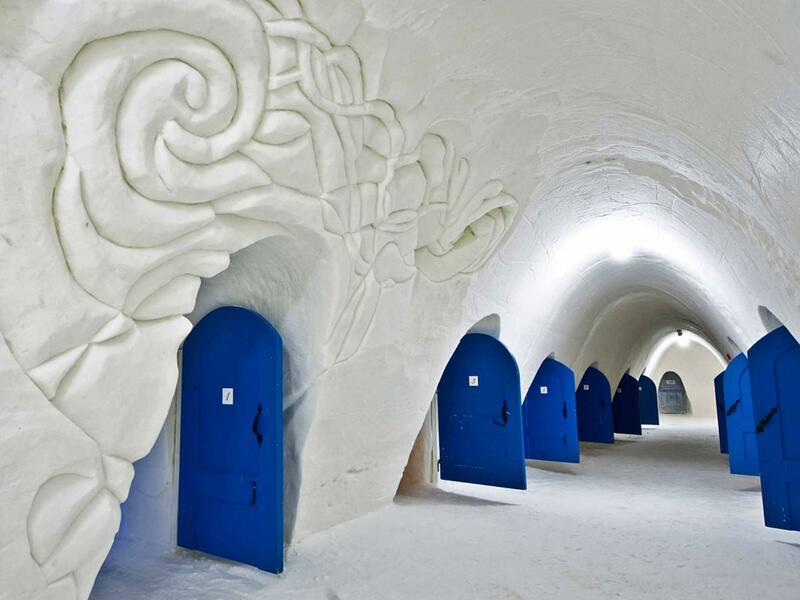 Arctic snow hotel? Sometimes, sun is overrated.